Oh My Heck…..I love Fall! 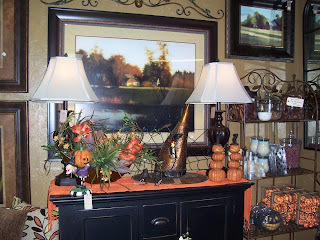 When Sylvia started displaying the new fall merchandise earlier this month, I was all ready to be done with summer! I’m not kidding! It is so beautiful that I won’t mind when the weather decides to get cool. We are working hard every day trying to transform Mini Bazaar from summer to fall. Once we started painting, we couldn’t quit. The rich new colors are so fun and look gorgeous with the fall merchandise. We will begin our Fall/Holiday season on September 9th. Can’t wait! Our “Meet the Staff” segment this month will be on Bobbi Underwood. She just happens to be my daughter and has worked at Mini Bazaar since she was a little girl. You have probably seen her behind the registers and helping customers regularly since she was a student at Ricks College. 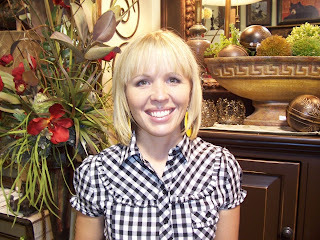 Bobbi is married to Jared Underwood and lives right here in Idaho Falls along with their two little boys, Carter & Rook. Jared is an electrician and does finance work as well. They spend a lot of time enjoying sports and especially love baseball. Bobbi has lots of friends and stays super busy. She loves to clean and make things look nice, and is really good at that. Her house is always tidy and she does a great job making it look beautiful for every season. We appreciate her good nature and all of her hard work at Mini Bazaar. We like to have fun while we’re working and she helps us accomplish that, too. Thanks for all you do, Bobbi! 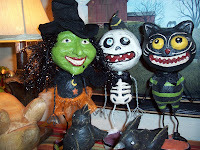 Be sure to stop in and see all the ghouls & goblins we have at Mini Bazaar. We think they are great!